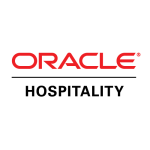 Oracle Hospitality (previously Micros-Fidelio), delivers a wide range of software, hardware, and related services—along with a rapidly growing portfolio of cloud solutions—to enable our customers in the hospitality industry to provide superior service and experience to their guests anywhere. More than just a point-of-sale system, Simphony™ is a Hospitality Management Platform that enables business management through a single tool with vast integration capabilities. Linking business functions such as property management systems, paperless kitchen display systems, and reporting at the individual property or revenue center, Simphony™ ensures continuous system operation and allows the client to be fully resilient and capable of performing mission critical operations in the event of an upstream failure. RES is a complete restaurant POS software solution that adapts to the way you run your business, with tools for the back-office, restaurant operations, and guest services. This fully-integrated restaurant point-of-sale system is both powerful and flexible and helps operations within your property flow more cohesively, efficiently, and profitably. The RES point-of-sale system offers restaurants multiple solutions that are designed specifically for table and quick service operations, as well as fast casual concepts. Materials Control is the full-featured solution to manage purchasing, inventory and costing in the hospitality industry. It provides information necessary for food and beverage management such as cost of sales, effective revenue, stock on hand, order proposals or stocking requirements in real-time. Orders, purchases and deliveries are monitored automatically. Installed at thousands of customers globally, Materials Control has a proven track record of an average cost reduction of 2-3%. The OPERA Enterprise Solution (OES) is a full-featured, integrated, web-enabled, multi-lingual and scalable suite of products consisting of modules for the hospitality industry. OPERA Enterprise software solutions can be deployed in any size environment, from a single property with just Front Office to a large, full-service hotel with Sales & Catering, Revenue Management, Spa and Golf and Materials Control. mymicros.net is a content rich Internet portal for the restaurant industry that includes access to back office, data warehousing, business intelligence, and other business and hosted point-of-sale applications and content. 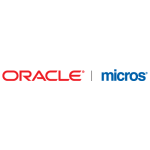 Providing a simple, powerful, single point of integration, the mymicros.net business intelligence tool for restaurant enterprise systems allows easy access to operational and financial information. Unlike consumer devices, the mTablet R-Series delivers unmatched performance on a revolutionary 10.1″ LCD touch screen including an option Daylight Viewable Technology that makes the mTablet R-Series easily viewed in direct sunlight. Other impressive characteristics include the spill and drop resistant casework, a temperature range of -10°C to 60°c making it perfect for both indoor and outdoor use. The Workstation 5A (WS5A) continues the commitment to providing customers with the latest technology, while ensuring lower total cost of ownership, simpler support model, and improved reliability. The WS5A is a complete technology refresh, offering dramatic enhancements to the processing capability, and expansion and peripheral connectivity, while continuing to provide customers with dependable, easy-to-use hardware specially designed for the hospitality and retail industries. The Kitchen Display System is like having a second expeditor in your kitchen. It provides highly visible, real-time information to manage and control kitchen efficiency, this seamlessly integrated, intuitive, graphical software application displays food orders for preparation and monitors the timing of orders for your “Speed of Service.” The KDS also provides feedback about the status of each table and captures service times for management reporting.